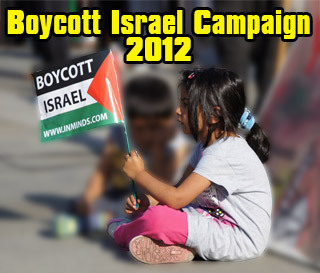 Boycott Israel News: Alert: 27th Sept 2015 - Protest Labour Party Conference - End Your G4S Contracts! Alert: 27th Sept 2015 - Protest Labour Party Conference - End Your G4S Contracts! The Labour Party are again this year contracting the British security firm G4S to provide security for the Labour Party conference in Brighton. Please join us outside the conference on its opening day at lunch time to tell the Labour Party to stop its collusion with a company that is complicit in Israel's torture of Palestinian child prisoners. Since 2007 the British security firm G4S has been contracted by the Israeli prison service to secure many of its prisons and interrogation centres where Palestinian political prisoners including women and children and caged and tortured. 61% of all Palestinian political prisoners are caged in G4S secured prisons, this includes 98% of all administrative detainees (those held indefinitely without charge or trial). All women prisoners and all the children are also caged in G4S secured Israeli prisons. In June 2015, Palestinian lawyer Hiba Masalha visiting abducted Palestinian children from an orphanage in Tulkarem, being caged in Israel's notorious G4S secured dungeon at Megiddo, reported that the children had been beaten and tortured in a "heinous" way by Israeli soldiers during interrogation. The children had been "terrified, threatened and blackmailed" in contravention of international law and conventions advocating children's rights. Schoolboy Mahir Hussein, told Masalha that Israeli soldiers had fired gunshots into the air to threaten him and two other teenagers when they were detained. Israeli soldiers threatened to kill him before two soldiers beat him "violently. "He was left bleeding for six hours with hands and feet cuffed. The boy was afterwards moved to a hospital in a military base in Petah Tiqva where doctors required "24 stitches" to seal the wound on his head. The next day he was taken to al-Jalame interrogation center for a period of 20 days during which he was beaten and mostly confined to a wooden chair with his hands and feet cuffed. G4S provides the entire security system for Al Jalame, its infamous for its torture of children and its tiny 'hole in the ground' children's cells three floors below the surface. The Labour Party has been lobbied for several years over its contracts with G4S and last September there were protests outside its conference in Manchester. Its own senior MPs including past and current leaders and shadow cabinet members, and leading trade unionists have all criticised the contracts, and yet nothing has been done and and again this year the Labour Party is giving money to G4S to secure the party conference. With recent changes in the leadership and membership of the party we are confident that given encouragement (and a push) the party could finally end its shameful partnership with G4S. Please join us this Sunday 27th September 2015 at 12 noon outside the Brighton Centre to tell the Labour Party to end its shameful partnership with war criminals incorporated aka G4S. At the protest we will be reading out messages from the parents of two children who were tortured at Israel's G4S secured Al-Jalame interrogation centre and who are currently caged at Israel's G4S secured Megiddo prison, and also a message from the father of a 15 years old schoolboy who was abducted and caged at Israel's G4S secured Ofer prison on the West Bank. Please note that a second protest organised by Brighton & Hove PSC will take place later in the day at 4:30pm outside the Brighton centre when the first day of conference comes to an end. Please do try and join that protest as well - two opportunities to tell the Labour Party to dump its G4S contracts! National Express coach leaves London Victoria coach station every hour, the 9am coach reaches Brighton at 11:20am and costs £13 return journey (inc booking fee, depart Brighton 2:50pm). 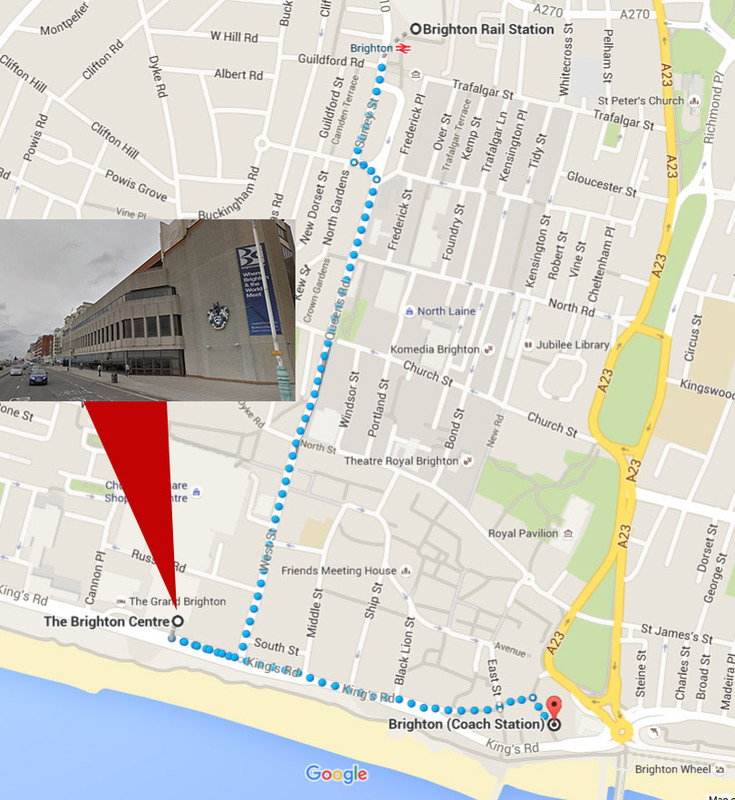 Brighton coach station is near the beach front - just 0.4 miles from the protest - turn right at the beach. see http://www.nationalexpress.com for booking. Railway is more expensive at £22 with trains leaving Victoria every 15mins (9:47am Victoria train arrives Brighton 11:26am). The rail station is about 0.7 miles from the protest - just head towards the beach and turn right once you reach the beach. 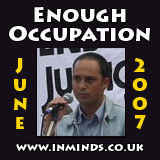 "How could it be possible to keep on living a life where one side is an occupier and the other side occupied? No independence is possible as long as it sustains itself through the occupation, oppression, and humiliation of others."